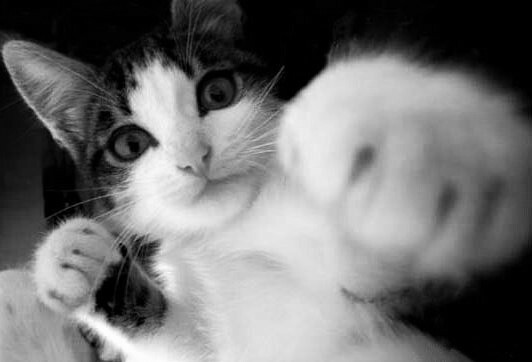 To fight, or not to fight: As a purebred litigator, not fighting can be an anathema to the AmeriKat. However, reading the Wall Street Journal last week she came across this article which reported that more than a fifth of survey respondents dealt with the threat of a patent lawsuit by "doing nothing" and feeling no pressure to act. The survey was conducted by Colleen Chien (associate professor at Santa Clara University School of Law) in 2014 and its findings published in the Stanford Technology Law Review here. The tactic seems to pay some dividends for respondents in that they do not get dragged into protracted and expensive litigation which, for start-ups and SMEs, can seriously harm their business before it gets off the ground. The WSJ article also refers to a study conducted by Roger Smeets of Rutgers who found that a firm's involvement in patent litigation can often chill their innovation; the study found that patent litigation accounted for a negative impact on corporate R&D intensity of 2.6-4.7% points. Although the "do nothing, feel nothing" approach is not appropriate in all circumstances when patent litigation is threatened (especially, as the article notes, where there is a "patent bully" running rampant), there seem to be at least some justification in keeping your head down. Now if only there were similar statistics to support not responding to the constant e-mail deluge (on which see this fascinating article in The Atlantic about e-mail originated hyperemployment). 'Tis the season for trade mark conference: If, having already been inundated by a swarm of holiday party invitations, you would rather flex your mental rather than your stomach muscles, then IPKat's friends from the Competition Law Association may have an event for you. The CLA brings news of an exciting event being held in London on 9 December 2015 at 6PM on the topic of "EU Trade Mark Law reform and its impact on practice" with the wonderful Verena von Bomhard (Bomhard IP, Spain) speaking. Details of the event can be found here and to register please click here. Big brains to meet in Brussels at EPLAW congress: This year's EPLAW congress is being held this Friday in Brussels where the likes of Kevin Mooney (Simmons & Simmons), Pierre Véron (Véron & Associes) , Edward Nodder (Bristows), Klaus Haft (Hoyng Rokh Monegier), Benjamin Ostapuk (Intel), Penny Gilbert (Powell Gilbert) and József Tálas (Sar & Partners) will be speaking on numerous hot topics including the UPC, harmonization of national patent law on infringing acts, patent damages apportionment and UPC court fees. For more information click here. Issue 4 of the Queen Mary Journal of IP out now: If having tussled with the intricacies of European trade mark reform and patent litigation, you are in a desperate need of more intellectual wizardry, then the latest edition of the Queen Mary Journal of Intellectual Property Law may come to the rescue. This edition discusses the enforcement of WTO rulings in trade marks in light of the fascinating Havana Club litigation (see AmeriKat posts here), the future of first sale/exhaustion defence in the cloud and gene-related inventions in Europe.